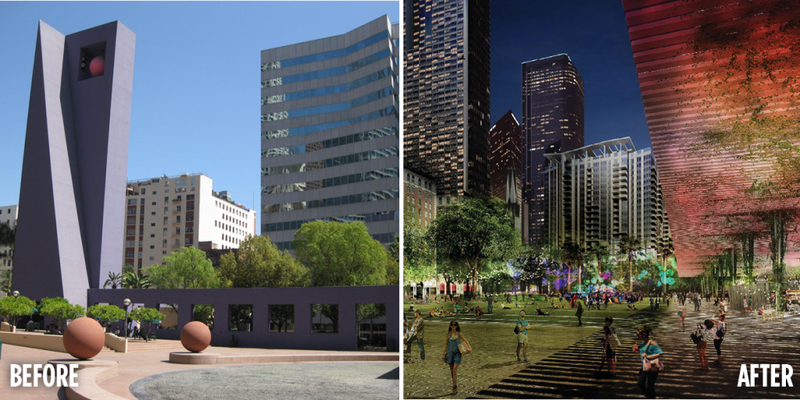 L.A.’s iconic Pershing Square is in for a makeover! 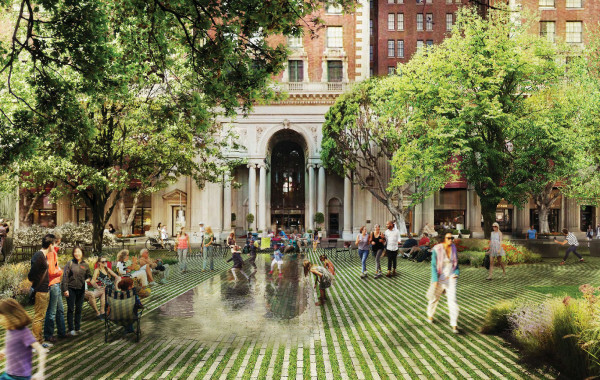 Right here in the backyard of our Los Angeles office, we’re looking forward to some exciting changes in one of downtown’s most iconic public spaces—Pershing Square! Situated in the heart of downtown’s core, this central, accessible and sprawling five-acre park has the potential to become a vibrant hub of downtown community life. 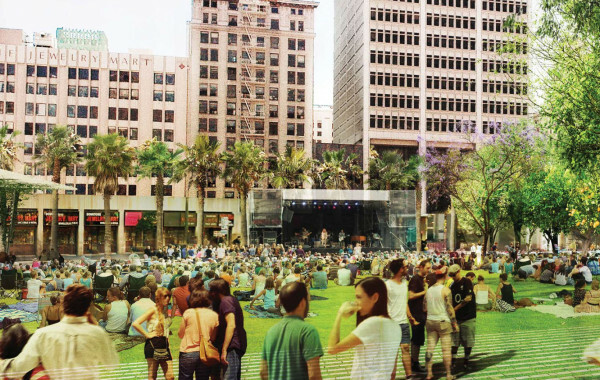 With renewed energy and interest growing in downtown Los Angeles, the 150-year old Pershing Square has been identified as a public space that’s ripe for activation. 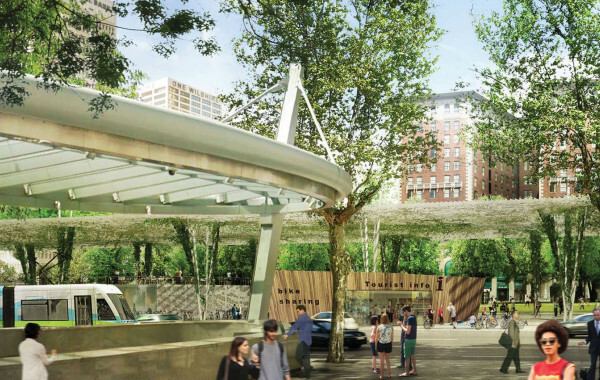 The nonprofit Pershing Square Renew is out to change this. Last Thursday—eight months after Los Angeles City Councilman Jose Huizar and Pershing Square Renew launched the international competition for Pershing Square’s redesign—“The Dynamic Heart of Los Angeles” proposal, submitted by French landscape architectural firm Agence TER, was selected to bring the park back to its former glory. 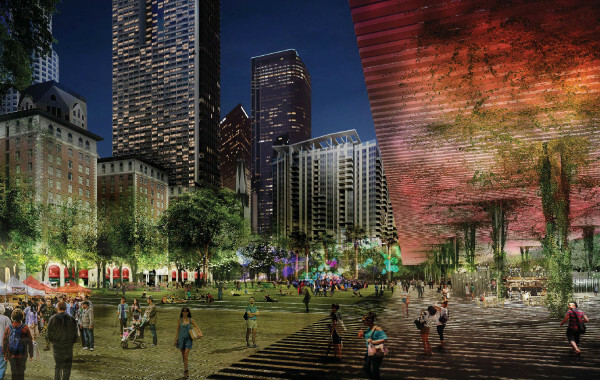 With the winning proposal selected, Los Angeles is one step closer to seeing a new and improved Pershing Square. Huizar will be disclosing additional information about funding the $50 million project in the coming weeks. 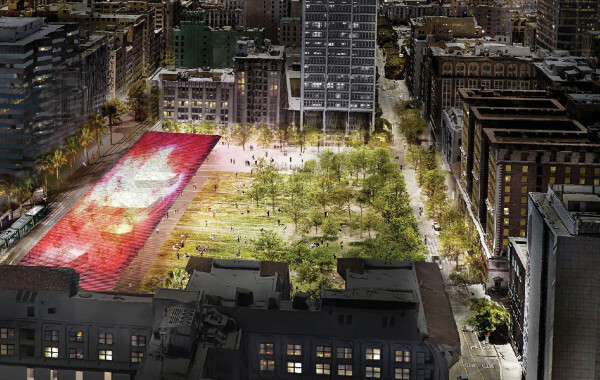 If all goes according to plan, Angelenos should see Agent TER’s design come to life in Pershing Square by 2019. Check out the video below to learn more about Agence TER’s winning proposal. This entry was posted in Beyond Levitt, Placemaking and tagged Agence TER, Pershing Square on May 17, 2016 by Nicole McGaffey.